China started a direct fight against Bitcoin, but other countries’ authorities warn against it as well. But it’s not only about officials: some professionals see a serious threat in cryptocurrencies too. Chinese government banned BTC China, the biggest Bitcoin exchange in the country, wrote BBC last week. The decision is effective from 30 September, and BTCC decided to accept the rulings and stop all trading by that date. The decision had a serious effect on Bitcoin prices, in just days prices fell from around $4300 just under $3000. This severe 30% fall is easy to understand: China alone adds 23% of the total Bitcoin market, so if there is a change, the global market can take a serious hit. 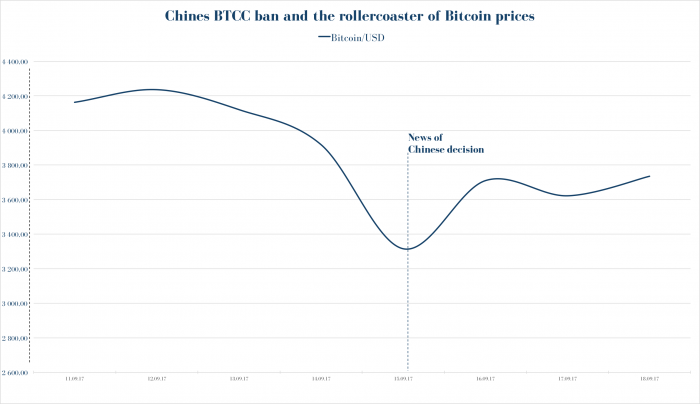 This is not the first time the Chinese are toying with Bitcoin prices. 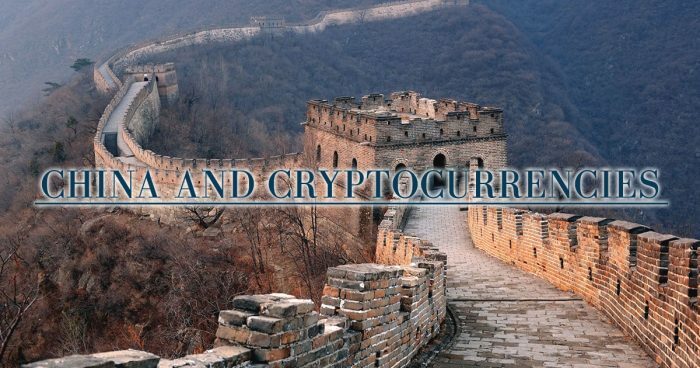 Just this year, we wrote how China may be behind the Bitcoin craze, as many investors see Bitcoin as an easy way to move their savings abroad. This probably did not change, so China tries to do everything to stop money flowing out of the country uncontrollably. They are already planning to stop all exchanging altogether. We also wrote about how new cryptocurrencies come and go, and how that is an even more serious risk. The Chinese also dealt with this problem: they banned all Initial Coin Offerings, or ICOs for short. But it’s not only them who try to fight against the proliferation of cryptocurrencies. Singapore, Hong Kong and Canada also warned against the oddly high dangers of these ICOs. Several other authorities are worried about cryptocurrencies in general. Just to name a few: the European Banking Authority issued a warning in 2013, UK did the same, and Hungary is also worried about virtual money. Generally, authorities underline that they are volatile and there are no regulations and assurances behind them. Jamie Dimon, CEO of JPMorgan Chase & Co. believes that Bitcoin is nothing more than a fraud and a bubble, and that it “won’t end well”. As Bloomberg writes, he believes unregulated cryptocurrencies can’t go on forever, therefore states will regulate them. He also said that he would fire anyone who trades bitcoin because it’s stupid and against regulations. But it’s not only the super high volatility behind cryptocurrencies that worries authorities. Digital currencies are held in wallets, and if these get stolen or hacked, the owner can’t do anything against it, as cryptocurrencies are generally untraceable. No wonder: millions of dollars are stolen this way by hackers. What’s more, there may be other schemes that use cryptocurrencies as a cover. Germany banned OneCoin this year, because it sold its coins without authorization. Italy went farther: they banned it because they believe it resembles illegal pyramid sales systems. All these problems show how volatile cryptocurrencies may be for now. Even legit virtual currencies can lose great chunk of their values fast, but as we can see, there may be other serious problems with them too.